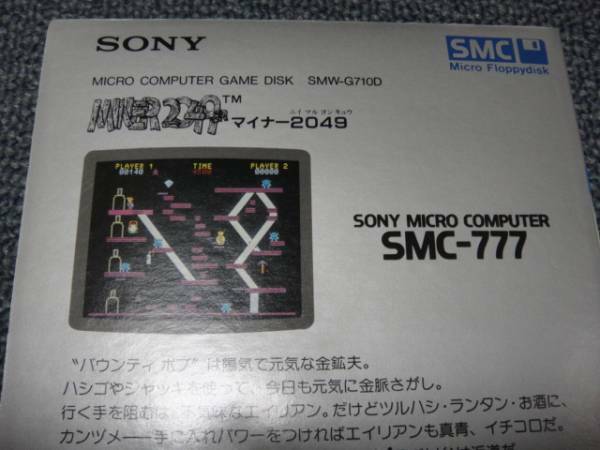 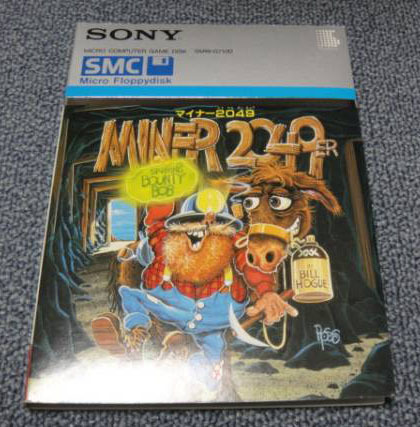 Miner 2049er for the Sony SMC-777 released in Japan by Comptiq. 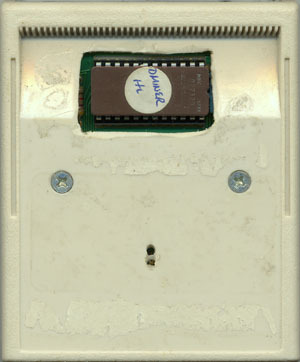 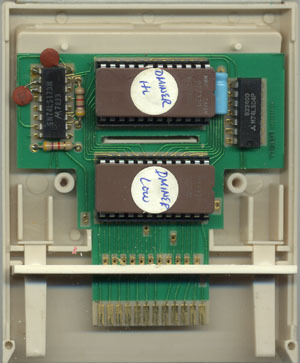 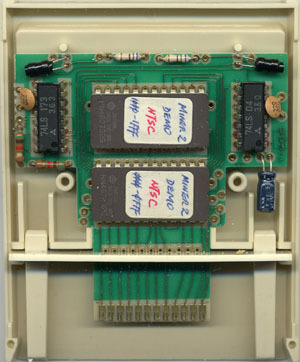 The SMC-777 was the first computer to use a 3.5″ disk drive. 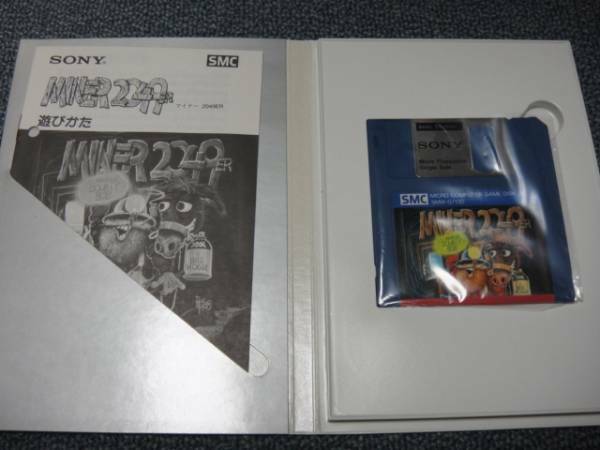 This one is so rare there isn’t a dump of it available on the internet yet. 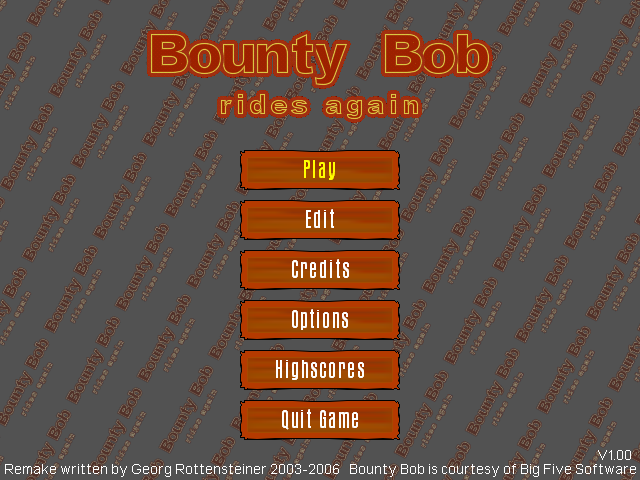 Georg Rottensteiner liked Bounty Bob games so much that In 2006, he completed his remake for PC computers. 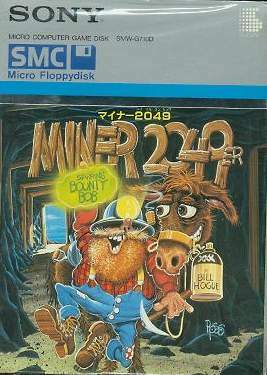 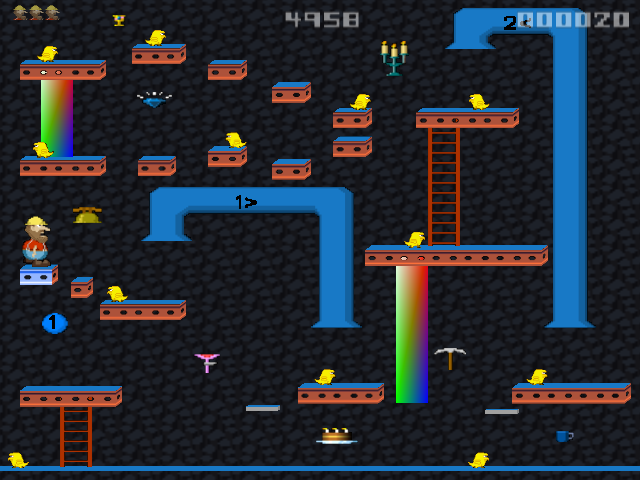 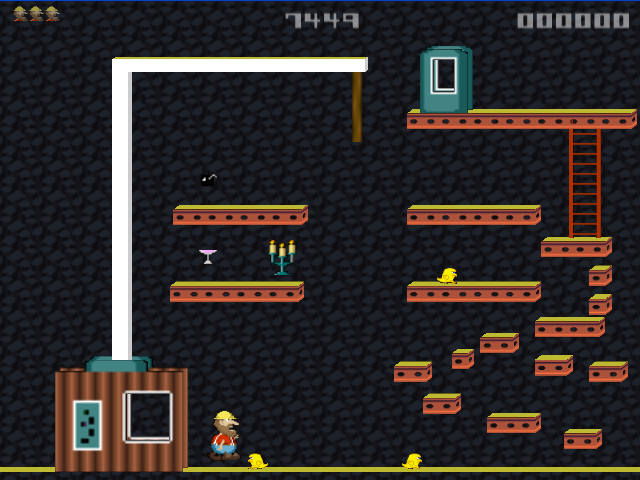 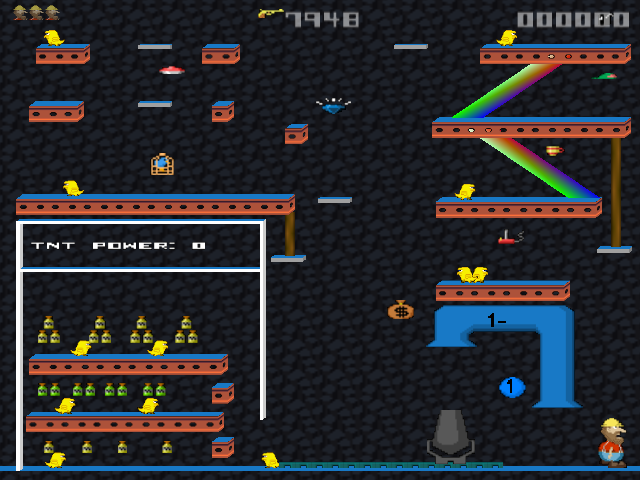 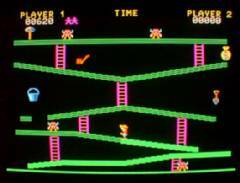 He replicated all of the levels from Bounty Bob Strikes back, Miner 2049er and Miner 2049er II (the Apple II version) and even included a level editor so you can change them or create your own. 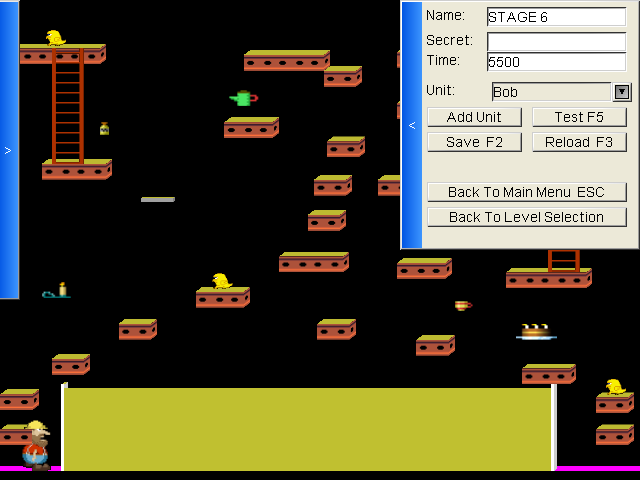 If you’d like to try it out, you can download it from his games page here (crashes on Windows 7, sadly).